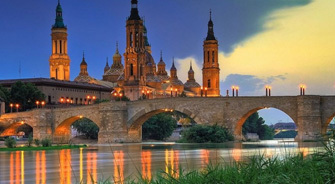 The EXPLORE project, run since July 2013, has been continued on the third partners meeting held in Zaragoza on the 12th and 13th March 2015 in the headquarters of the hosting partner Asociación INDICO and the premises of EBROPOLIS Foundation in Zaragoza. During the meeting there were the following activities implemented: follow-up and summary of the previous steps taken within the project, presentation of case studies of each partner, debate regarding the Project Final Guidelines by members, based on the draft presented by the project coordinator – Sviluppo Progetti S.c.a.r.l. , dissemination of the project activities and exchange of best practice at a conference organized with participation of local stakeholders. Below you will find more detailed information regarding the course of the meeting. The meeting was opened by the hosts who invited everyone to present themselves and briefly their activities in view of new participants to the project who did not take part in the previous meetings. Next, Francesco Da Re representing the project coordinating company Sviluppo Progetti S.c.a.r.l. made an introduction to the meeting with a summary of current actions and the list of topics to be discussed according to the previously agreed agenda. As established before, between the first and the second meeting partners have studied different aspects of their local development promotion, incentives as well as hindrances, and as a result prepared respective simplified SWOT analyses with identified Strengths, Weaknesses, Opportunities and Threats concerning their regions. The SWOT in Puglia region was not presented previously so, Tommaso Marazia presented this analysis taking into consideration sources such as websites of regional authorities focused on the implementation of the European Regional Development Fund (ERDF) and the European Social Fund (ESF) programmes, related information papers, articles and powerpoint presentations published on the websites, containing local context description. Tommaso Marazia presented also the Case Study which dealt with the crisis of ILVA S.p.A. regarding the environmental and economic devastation of the Province of Taranto – Puglia (Italy) – and its legal, social and economic aspects. Tommaso Marazia provided a short description of the case study, explanation of affected groups, main negative consequences of the situation and connections between the case study and the SWOT analysis. Regarding this last issue it is required some more information regarding this connection and the conclusion is that ILVA S.p.A is not using European Regional Development Fund (ERDF) and the European Social Fund (ESF) enough or if they are using these funds they are not using them in proper things. Bartosz Kruszewski presented their Case Study called “Curriculum vitae as the first step to change the course of life”. This project is one of the actions aimed at inclusion of the recently disadvantaged groups to the labour market, activation of the unemployed and encouraging them to the professional development, as well as reaching the groups of the long term unemployed communities and attract them to undertake occupation. Besides presenting the affected groups and main negative consequences of the situation, a detailed explanation of connections between the case study and the SWOT analysis is provided. Mainly this Case Study is connected to Promoting employment. Francesco Da Re presented a draft of the Project Final Guidelines in order to check it with all partners and work together in a detailed version of the manual. Finally, partners reviewed in short the topics proposed for discussion of the following day’s event and agreed on the sequence of speeches. Ms. Laura Fuertes presented the main activities implemented by EBROPOLIS during its 20 years of activity to participants. This Foundation has developed the local strategic development plan of Zaragoza and includes a network of 80 local companies. Some Pictures of the event! Project Partners will meet again in Oderso on the 9th and 10th of July 2015!